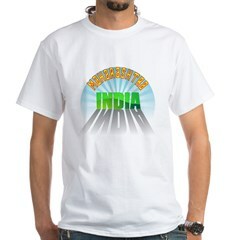 Stylish India t-shirts and unique India gifts. This design features a round blue starburst with the word INDIA printed across the middle, with an impressive, large shadow. Amritsar India t-shirts and original Amritsar gift ideas. This design features a round blue starburst with the word INDIA printed across the middle, with an impressive, large shadow. AMRITSAR is printed across the top of the circle in exotic text. 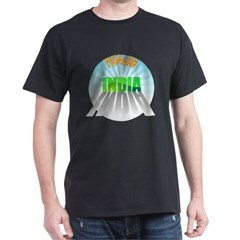 Bhopal t-shirts and Bhopal India gift ideas. This design features a round blue starburst with the word INDIA printed across the middle, with an impressive, large shadow. BHOPAL is printed across the top of the circle in exotic text. Bihar t-shirts and original Bihar India gift ideas. This design features a round blue starburst with the word INDIA printed across the middle, with an impressive, large shadow. BIHAR is printed across the top of the circle in exotic text. Chennai gifts and original Chennai India t-shirts. This design features a round blue starburst with the word INDIA printed across the middle, with an impressive, large shadow. CHENNAI is printed across the top of the circle in exotic text. Gujarat t-shirts and original Gujarat gift ideas. This design features a round blue starburst with the word INDIA printed across the middle, with an impressive, large shadow. GUJARAT is printed across the top of the circle in exotic text. 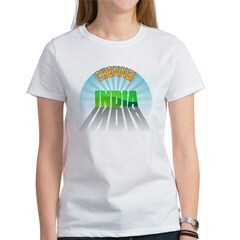 Karnataka India t-shirts & original Karnataka gift ideas. This design features a round blue starburst with the word INDIA printed across the middle, with an impressive, large shadow. KARNATAKA is printed across the top of the circle in exotic text. Kolkata t-shirts and original Kolkata India gift ideas. This design features a round blue starburst with the word INDIA printed across the middle, with an impressive, large shadow. KOLKATA is printed across the top of the circle in exotic text. Lucknow t-shirts and original Lucknow India gift ideas. This design features a round blue starburst with the word INDIA printed across the middle, with an impressive, large shadow. LUCKNOW is printed across the top of the circle in exotic text. Maharashtra t-shirts and original Maharashtra gift ideas. This design features a round blue starburst with the word INDIA printed across the middle, with an impressive, large shadow. MAHARASHTRA is printed across the top of the circle in exotic text. Orissa t-shirts and original Orissa India gift ideas. This design features a round blue starburst with the word INDIA printed across the middle, with an impressive, large shadow. ORISSA is printed across the top of the circle in exotic text. Pune t-shirts and original Pune India gift ideas. This design features a round blue starburst with the word INDIA printed across the middle, with an impressive, large shadow. PUNE is printed across the top of the circle in exotic text.